Some photographs think that a good image needs no verbal accompaniment. Not me! My experience is of greater cognitive and/or emotive impact when accompanied by relevant captions or stories. So here's some images taken on an afternoon road trip using a photographic technique unfamiliar to me. I'll provide brief captions but postpone the contextual story until you've viewed the photos. Then you can tell me whether the verbal accompaniment was useful, added interest, or neither. 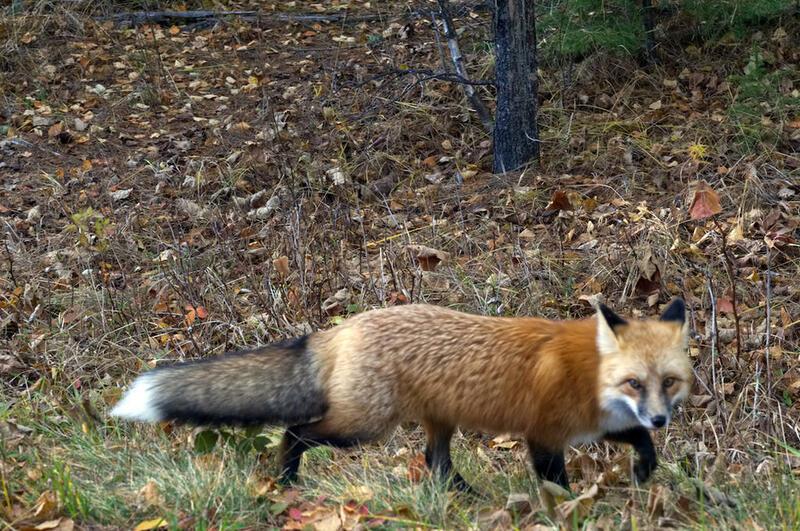 Is this Fox like a Walmart Greeter? 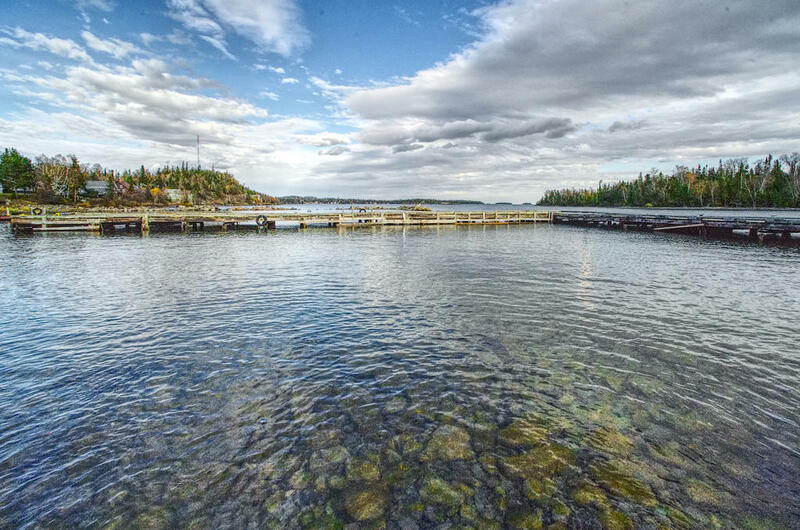 The photos were taken on the Sibley peninsular, named after an 18th century miner. At the end of the peninsular is Silver Islet, which is both a small community and the site of the world's richest silver mine in the 1870s. The story of the mine provides the context for the photos. 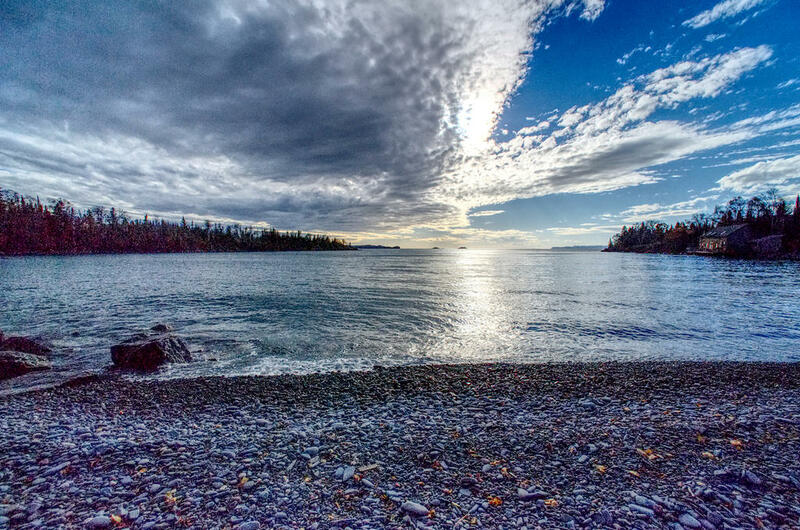 The silver was discovered on a small, rocky island just off the Lake Superior shoreline. To my knowledge, it was well offshore and to the middle of the photo giving a leftside view. At that time, the island was approximately [50 m²] in size and only 2.5 metres above the waters of the lake. 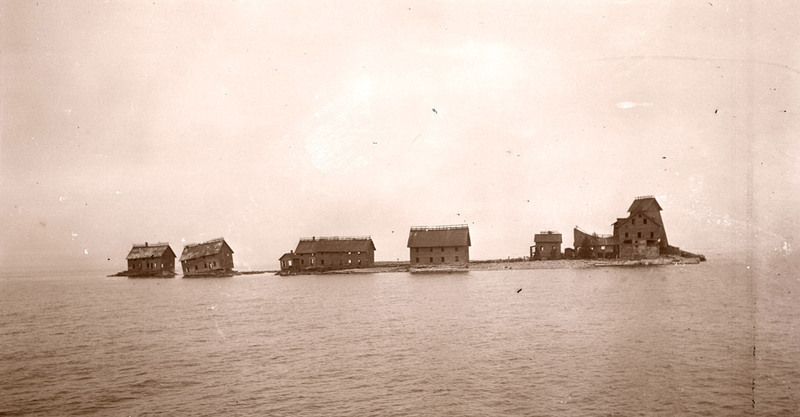 In 1870, the site was developed with wooden breakwaters built around the island to hold back the lake's waves, with the island's size increased tenfold by the addition of crushed rock. The mining community was developed along the shoreline, with the miners brought over from Cornwall. The final picture of 'The Avenue' shows miners houses. The mine was operational until 1883, by which time most of the silver was extracted and the price of silver had declined. The end came when a shipment of coal did not arrive before the end of the shipping season. The coal fired pumps holding back the water of the lake stopped working and in early 1884 the islet's mine shafts, which had reached a depth of 384 metres, were flooded. They shafts were never de-watered, and the underground operations never reopened. Over the 16 years that the mine was in operation, $3.25 million worth of silver was extracted, which was a helluva lot of money at the time. Here's a photo of the mine in 1911. The original miners homes are all now occupied for recreational purposes. They are without electricity but with heating and power supplied by generators, propane and wood stoves. 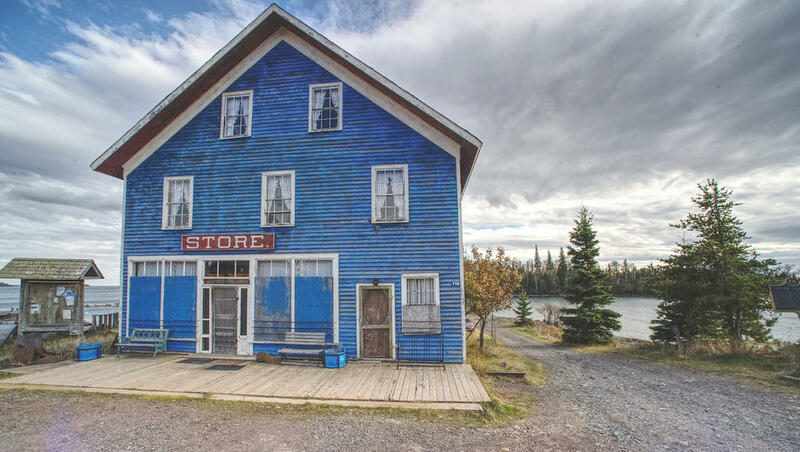 The renovated 12-bedroom General Store is now for sale at about $350,000. 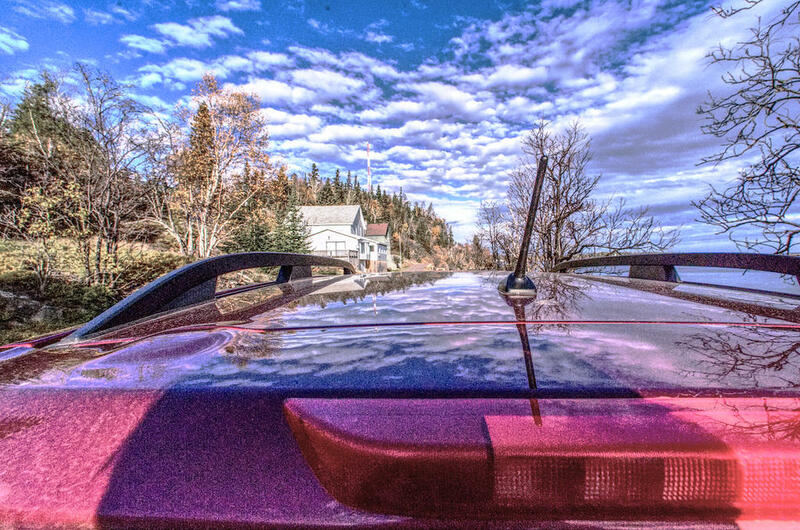 We've seen foxes, bears, wolves and lots of other wildlife on the Sibey peninsula. 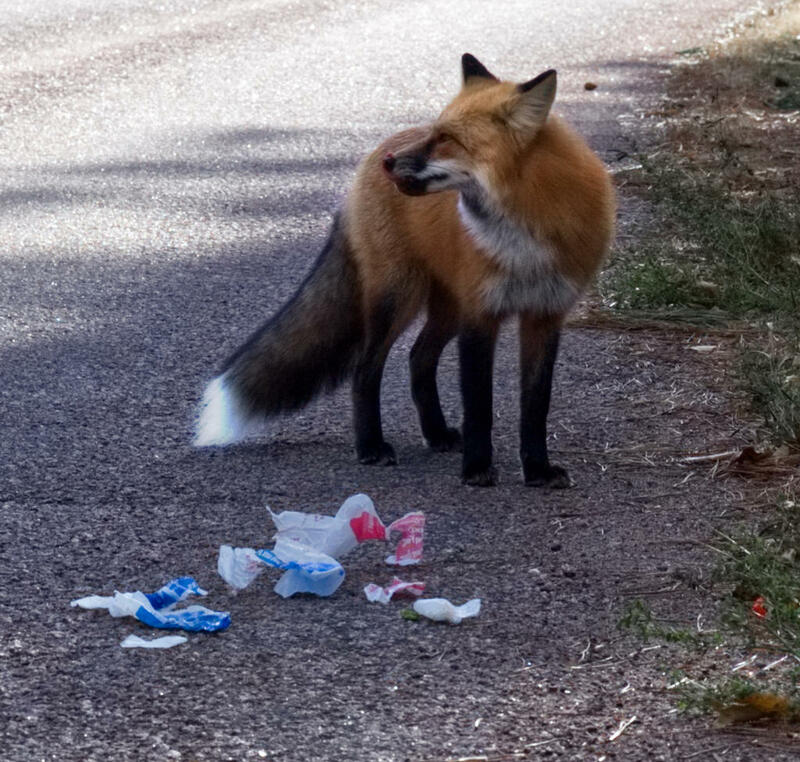 The fox in the photo was nibbling on roadside food wastle left by visitors. Dascinating presentation. I am engaged and need to restart my tour! All the words were helpful. The only pictures that speak for themselves are extreme grief, nursing children, natural beauty or horror. Everything else benefits from words! This is my orientation picture. First that blue is the color of my eyes and those of my mother, my youngest son and 3 grandchildren! But that 3D rendering is out of sight, LOL! Glad the text proved useful. You rightly raise the point that some types of photo - especially those that evoke strong emotion - speak for themselves. However, a problem about emotive pictures unaccompanied by accurate contexual description is that they may convey 'fake news'. For example, from media reports around the time and after publication of Nik Ut's famous Napalm Girl photo, like most other viewers, I readily accepted three myths about the image and its impact. These myths are that the photograph (1) shows the effects of a U.S. bombing mission, (2) that its impact swung public opinion against the war, and (3) its publication hastened the end of the war (see http://www.baltimoresun.com/news/opinion/oped/bs-ed-napalm-girl-20170401-story.html"[/COLOR]]http://www.baltimoresun.com/news/opinion/oped/bs-ed-napalm-girl-20170401-story.html). Of course, I cherry picked this example to show that while a stand alone depiction may have proximal validity, its meaning and presumed impact may be quite phoney from a distal perspective. Just as inaccurate information in textual accompaniment can render a false interpretation. Crititique accepted! But could you confirm the napkin link! Great pose, (like a dressed up fashion model pausing at the end of the runway before strutting proudly back to the dressing room), the long expansive bushy tail making the over the top statement of Je ne sais quoi! ....... such compositional shadows, (? coming from the sun going down in late afternoon or you are that North)!! This image is so fitting in these Trumpian times of xenophobia against “the other”! After all, we do see the fox as a sly vicious invader of our territory, when he is native! Hi Asher, you're right, the sun was going down as the afternoon began to close. Because NorthWestern Ontario is a very large area with few people (i.e., twice that of the UK but with only 240,000 human residents), everyone admits that we are the intruders in widerness areas. Luckily for us, the foxes that belong there aren't speciesphobic but encourage species diversity so long as the intruders earn the right to be there by bringing gifts. The photo below shows our fox inspecting a gift carelessly left by a previous intruder. It looks like poor pickings to me. 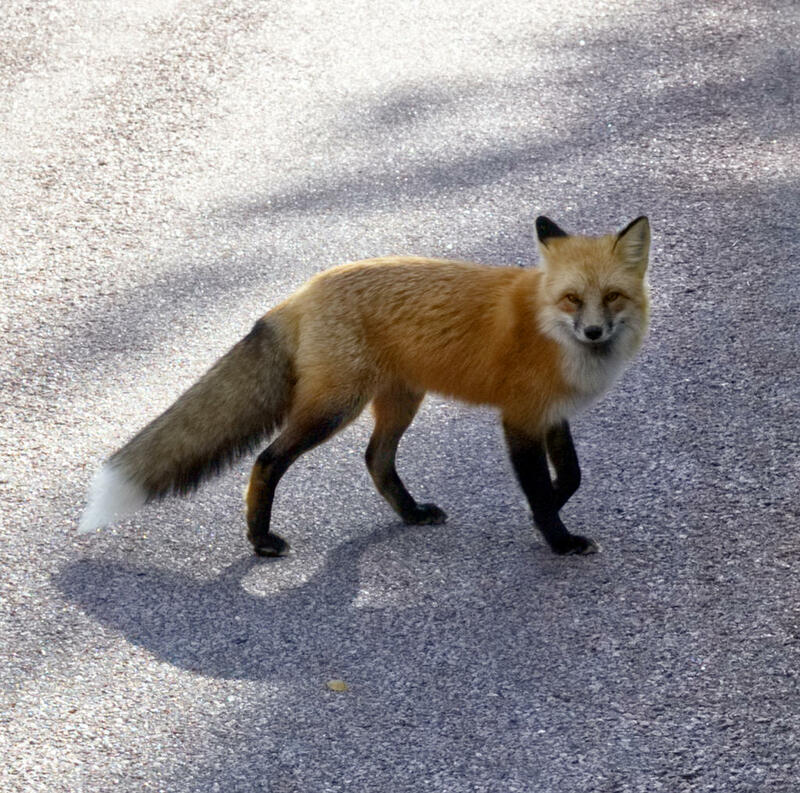 You're right, Asher, that this beautiful fox parades before the camera like a fashion model. However, even foxes this accomplished get fed up with photographic intruders that rudely neglect to bring a gift. So our fox turned tail and with affronted dignity slunk back into the forest. Bye bye fox!